What Does the BOL Mean to You? A bill of lading (BOL) is a document truckers need to move a cargo shipment. It functions as a receipt of services as well as a contract between the carrier and the shipper. Both the carrier and shipper need this legal document. Otherwise, they cannot process the shipment or invoice it accurately. What Information Does a BOL Contain? This multipart document contains necessary information to process a freight shipment. The BOL functions as a contract in the absence of a shipper-carrier agreement. Less than truckload shippers (LTL) make the most frequent use of BOLs. They transport small freight and are often more cost effective than full truckload services (FTL). Two of the best known LTL carriers are FedEx Freight and UPS Freight. Controversy is brewing between the National Shippers Strategic Transportation Council (NASSTRAC) and the National Motor Freight Traffic Association (NMFTA). The NMFTA made changes to the uniform BOL to bring its provisions up to date and provide more clarity. NASSTRAC disagree citing the new terms and conditions for proving carrier negligence. NASSTRAC and other shipper groups claim that these changes violate the Carmack Amendment, which established liability standards for cargo. Legal representation for NMFTA countered that the updated BOL standards do not change the laws for showing burden of proof. For now, the Surface Transportation Board (STB) is siding with the NMFTA. It denied a petition asking to suspend the BOL changes. However, STB is willing to consider further pleadings before deciding whether to investigate the changes. Further muddying the waters though is the fact that the STB cannot suspend the changes to the uniform BOL. They can only investigate and make suggestions. If the STB decides to investigate, their decision may bring NASSTRAC and NMFTA together in court to battle over terms. Many motor carriers looking for ways to reduce cost often turn to fuel efficiency. There are numerous ways to save fuel such as driving at slower speeds or taking the most direct route with the least amount of traffic. However, drivers hauling empty containers waste massive amounts of fuel. To reduce this, some companies are synchronizing import and export needs. Drayage operations run into this issue on a regular basis. Drayage drivers will receive an import, deliver it to its destination, and then drive back with an empty container. However, by doing some research, managers can find nearby companies that need to export their product. That way, their driver can deliver their import, pick up the export, and then drive back to the port. This saves an additional trip and eliminates drivers with empty containers. While the idea is great in theory, it can be complicated in practice. Some companies only want to use certain types of shipping containers to move their cargo. However, the bigger issue is a lack of technology to match import and export needs. Managers who attempt to match imports with exports must do so manually. This creates an opportunity in the transportation industry to develop a major piece of tech to improve productivity. Some managers believe no one has jumped at the chance simply because the industry has always operated in this fashion. Many are hesitant to change existing operations even if it meant improved efficiency. However, as more manager tackle the issue of load matching the opportunity will not likely be set aside for long. 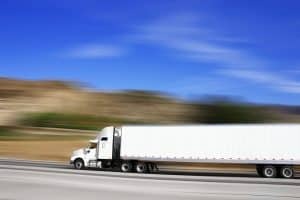 Truckers and motor carriers need a variety of insurance types to ensure they have full coverage. 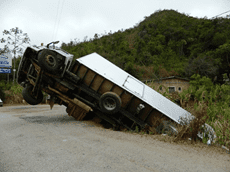 Understanding trailer interchange insurance can be confusing. Find out more about what it is, who needs it, and other important details below. This is a type of coverage available to truckers and motor carriers. It provides coverage in the event that the insured damages a trailer that belongs to another individual. It is not uncommon for truckers and motor carriers to transport trailers that belong to a different motor carrier. This is how drivers can trade trailers en route to maintain scheduling demands. This type of arrangement is known as a trailer interchange agreement. The trailer interchange insurance labels the trailer possessor as the responsible party. It provides coverage in the event of an accident, fire, theft, and other types of physical damage. If you make use of trailer interchange agreements, then you need trailer interchange insurance. The purpose is to protect you while you are moving cargo or a trailer that is not yours. The truck driver or motor carrier moving the trailer is almost always responsible for paying for damages should they occur. Like other types of insurance, trailer interchange insurance has limits and deductibles. Limits and deductibles go hand-in-hand. The limit is the max amount of coverage an insurance provider will provide for a claim. Another way of looking at it is it is the max value of the trailer. The deductible is the amount the driver or motor carrier pays out of pocket in the event of a claim. Select your limit and deductible wisely. Lower limits and high deductibles often cost less, but they can come back to haunt the insured. For example, let’s say the insured has a $15,000 limit with a $5000 deductible and the trailer they’re driving gets stolen. The driver would pay the $5000 up front and their insurance provider would pay up to $15,000 to replace it. However, if the trailer was worth more than $15,000, that difference in cost is up to the driver to pay. High deductibles can be a burden as well. The insured should be certain they can pay the deductible at any given time if necessary. Through an exclusive arrangement we are also able to provide coverage for any Trailer or Container in the insured’s care, custody and control, as most policies require a trailer interchange agreement in order for coverage to apply. This is a much broader application and prevents any issues of coverage for the driver and motor carrier/steamship line. For more information on trailer interchange coverage and other transportation policies, contact us. Maintaining your health as a commercial driver should be a high priority. Unfortunately, eating healthy while on the road is not always convenient and can even seem impossible at times. However, proper planning and smart diet choices can help you avoid weight gain while traveling. Here are some tips to help you maintain your waistline while on the road. Many crockpots can plug into low voltage cigarette lighters or other standard vehicle outlets. Opt for a smaller crockpot that functions on less voltage such as a 12 V crockpot. It should not indicate it is for household use only. Invest in crockpot liners to reduce clean up time. It may also be wise to use crockpot lid clips to ensure the lid stays on as you drive over bumps. By preparing your meals in advance, you can avoid last minute food decisions. If you wait until you are starving to eat, the likelihood of eating a healthy meal diminishes. Plus, with a crockpot you also get to choose the ingredients yourself. This allows you to control your fat intake and ensure you are eating a nutritious meal. If you gorge yourself on sumptuous meals two or three times per day, you will eat more than you intended to. By eating more often throughout the day, you are less likely to binge eat. To help avoid this, be sure to eat breakfast every day. If you eat smaller, nutrient-dense meals every two to three hours over a twelve hour period you can better control your food intake. It is easy to tell yourself to stop snacking throughout the day. It is another matter to follow through with the advice. 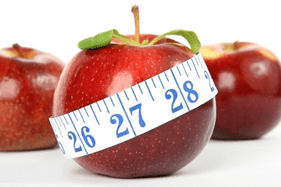 If you know that you are a frequent snacker, take steps to diminish their weight gain effects. For example, instead of eating chips and cookies keep healthy options on hand such as granola, nuts, and fruit. It’s a devious four letter word that adds inches to your waistline: soda. Reduce your soda intake or cut it from your diet altogether if at all possible. You should also try to cut juice and energy drinks as well. Water is the best choice for your health. Plus, sometimes individuals mistake dehydration as hunger. If you stay hydrated, you can reduce the frequency you feel the urge to snack. 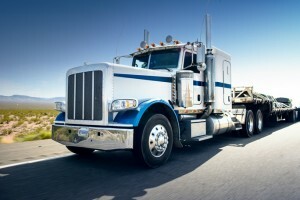 To learn more about healthy and safety practices for trucking professionals, contact us. 30 Minute Break: A non-passenger-carrying commercial operator must take a break of at least 30 minutes from driving after an 8 hour period of driving. Non-driving work related activities can be performed during this time. 14 Hour Rule: A non-passenger-carrying commercial operator must stop driving after being on-duty for 14 consecutive hours. 11 Hour Rule: Within the aforementioned 14 hour window, a commercial operator may drive a maximum of 11 hours. Providing Emergency Assistance: Providing direct assistance to an emergency as defined by the FMCSA suspends all Hours of Service regulations. 16 Hour Extension: The 14 Hour Rule is extended to 16 hours for those who qualify for the 100 air mile provision or 150 air mile provision as defined by the FMCSA. Adverse Driving Conditions: Unanticipated adverse weather conditions extend the 11 Hour Rule to a 13 hour limit. 3o Minute Break Exemption: All drivers who qualify for 100 air mile provision status are exempt from the 30 minute break rule. Understand when and how these exemptions apply can make you safer and more efficient as an owner operator or as a large fleet. To learn more about transportation news, compliance, and coverages, contact us. 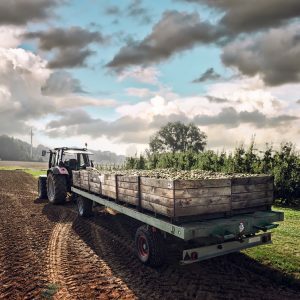 The Food Safety Modernization Act (FSMA) has brought a number of relevant changes to the transportation industry regarding the handling of both human and animal food. The rule exists to reduce the likelihood of contamination, and requires all shippers to develop and implement written procedures adequate to ensure sanitary handling of the products in question. Which Businesses Must Comply with the FSMA? With some exceptions (noted below), the final rule applies to shippers, receivers, loaders and carriers who transport food in the United States by motor or rail vehicle, whether or not the food is offered for or enters interstate commerce. Persons in other countries who ship food to the United States directly by motor or rail vehicle (from Canada or Mexico), or by ship or air, and arrange for the transfer of the intact container onto a motor or rail vehicle for transportation within the U.S., if that food will be consumed or distributed in the United States. Exporters who ship food through the United States (for example, from Canada to Mexico) by motor or rail vehicle if the food does not enter U.S. distribution. Training: Training of carrier personnel in sanitary transportation practices and documentation of the training. This training is required when the carrier and shipper agree that the carrier is responsible for sanitary conditions during transport. To learn more about transportation regulations, coverages, and news, contact us. The National Highway Traffic Safety Administration (NHTSA) released the final data on car crash fatalities from 2015 and the numbers are not good. For the past five decades, traffic-related deaths have been on the decline. This past year saw a 7.2% increase in traffic fatalities compared to the previous year—the highest it’s been since 2008. The nation hasn’t seen a one-year increase of this size since 1966. In just a decade, safety programs and vehicle improvements helped reduce traffic-related deaths by nearly 25%. This dramatic increase in traffic fatalities spurred the White House into action. The Department of Transportation (DOT) and NHTSA are conducting an investigation to try and determine the cause of the rising traffic deaths. Even without the completed report, they have some preliminary thoughts behind the increase in fatalities. More jobs and cheaper fuel. Both of these factors correlate to an increased number of drivers on the roadways. This includes driving for leisure (e.g. vacations and day trips) and young people driving. Total vehicle miles traveled in 2015 rose by more than 3.5%. That is the largest surge in almost 25 years. Poor safety habits. Driving safety campaigns seem to have lost their edge in 2015. Almost half of the passenger vehicle fatalities involved the occupant not wearing a seat belt. Nearly one third of the fatalities involved drunk driving or speeding. One in ten involved distracted driving. In essence, there are more drivers making poor safety decisions. 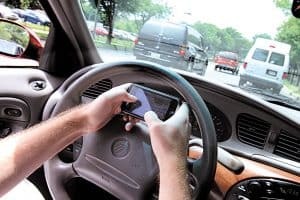 The data shows that driving drunk, distracted driving, speeding, and not wearing a seat belt all contribute to an increase in traffic-related deaths. Drivers can reduce their risk by making safe choices such as wearing their seat belts, following the speed limit, and staying focused on the road. This increase in passenger vehicles and poor safety habits poses a serious risk to truck drivers. To learn more about reducing trucking risks, contact us.